If you've read about ancient Hohokam ruins being found on a construction site in Phoenix, and wonder why they're allowed to build on top of the site anyway, it may sound as if it were very insensitive on the part of the city, or the builders. But it makes perfect sense once you understand where the Hohokam people were. They were all over the valley, on every inch of it. The cities of Phoenix, and Tempe, and Scottsdale, and all of the cities in the Salt River Valley, sit on top of the Hohokam ruins. In fact, up until just a few decades ago, the Hohokam ruins scattered around the valley were so common that children played on them, pots were found everywhere by people hiking, or just walking around. So, in order to preserve where the Hohokam people lived, velvet ropes would have to be strung around all of the Salt River Valley, which you gotta admit would be kind of ridiculous. 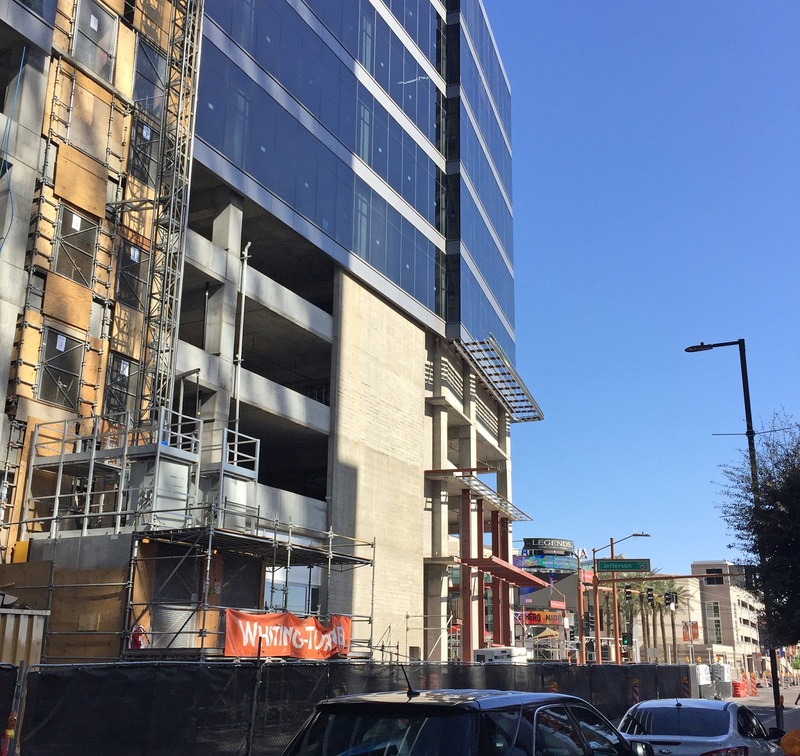 So when new buildings go up, like the ones on Block 23, in downtown Phoenix, the archeologists are given a chance to see what's there, and then construction proceeds. If you're anywhere in the Phoenix, Arizona area right now, look at your feet. Underneath where you are is where the Hohokam people were. Chances are very good that their pottery was churned into the soil under you when the land became agricultural, or when the bulldozers came in to build your house. And this is why I say that I walk with the Hohokam people every day. I lived in Glendale, and yes, they were here. My walk in the morning for my coffee to McDonalds traces their footsteps. Underneath the pavement as I cross the street is their world, sleeping. I like that thought. Everything that they made can't be preserved, but it can be honored, simply by knowing about it. Thank you for walking with the Hohokam people with me! 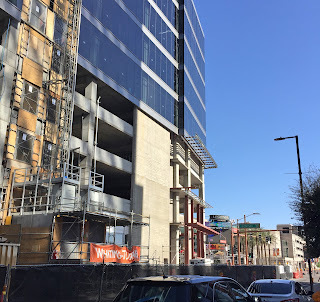 Image at the top of this post: Construction of the new Fry's grocery store in downtown Phoenix, 1st Street and Jefferson. On top of Hohokam ruins.